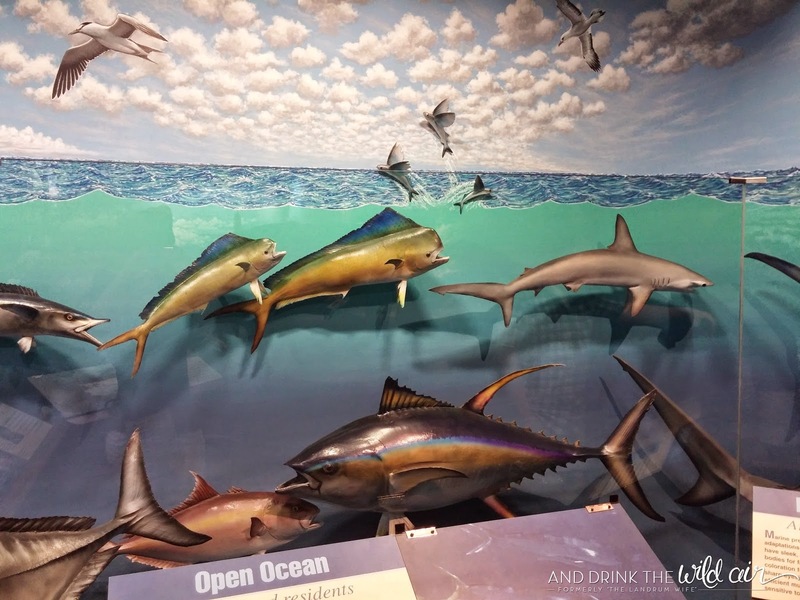 The Lyman Museum is open Mondays through Saturdays from 10 AM to 4:30 PM. Mission House tours happen twice daily at 11 AM and 2 PM. Admission costs are as follows: Kama'aina - adults $8, seniors $6, children 6-17 $3, $17 for a family; Out of State - adults $10, seniors $8, children $3; and University students are $5. 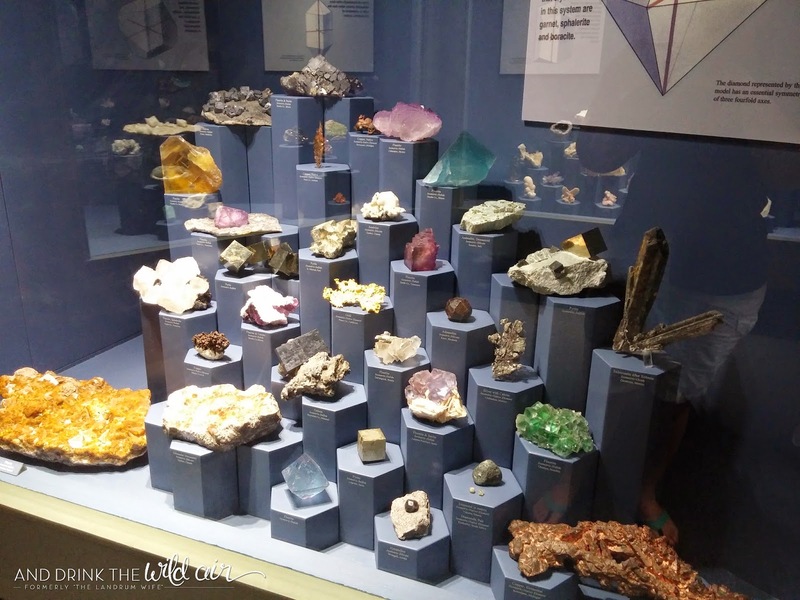 The museum is obviously kid-friendly, but it's probably more suited to older kids since there aren't really hands-on activities for younger kids to get interactive and engaged. 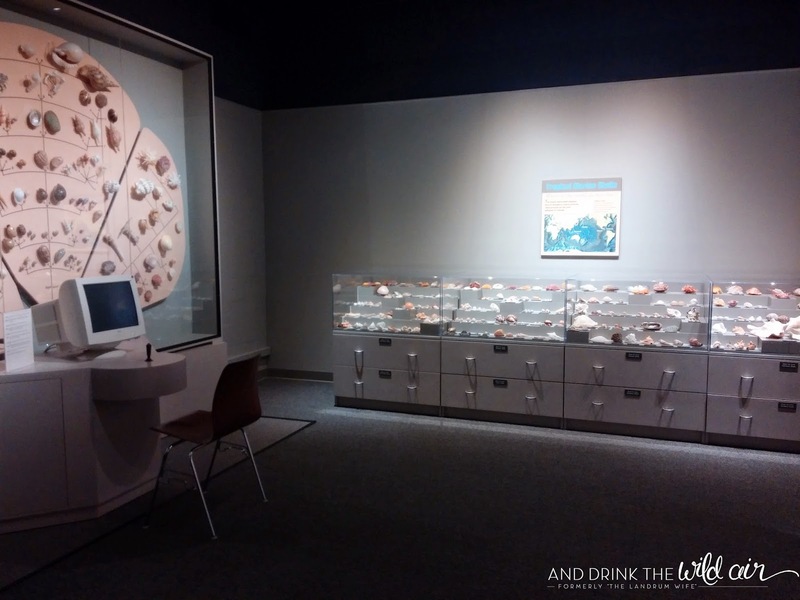 Healthy doses of appreciation for science and history definitely make this place more interesting! 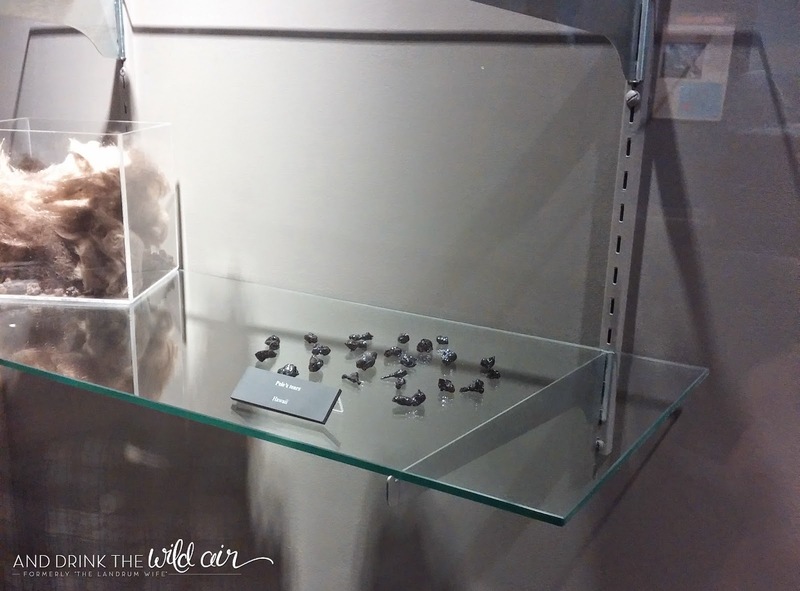 Although we didn't see a special exhibit on this trip, they are known to be on display every now and then. 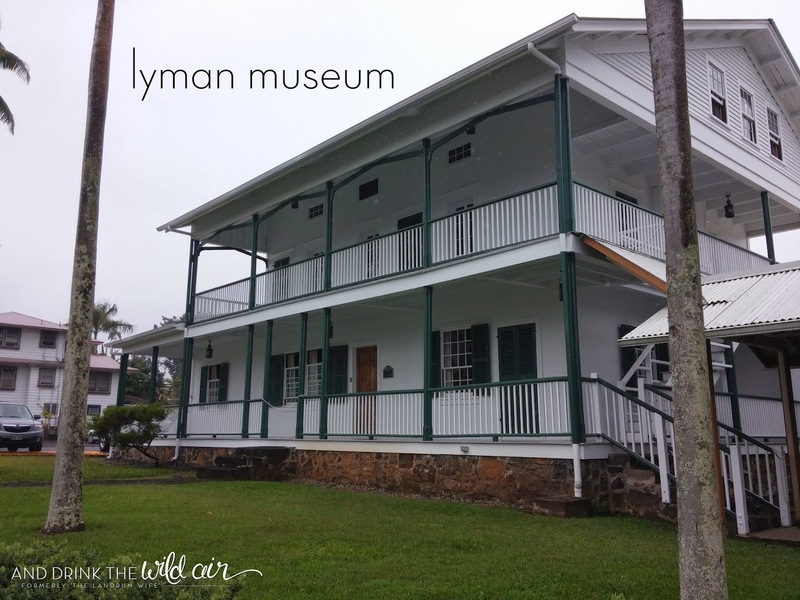 Check out the Lyman Museum website for more information. 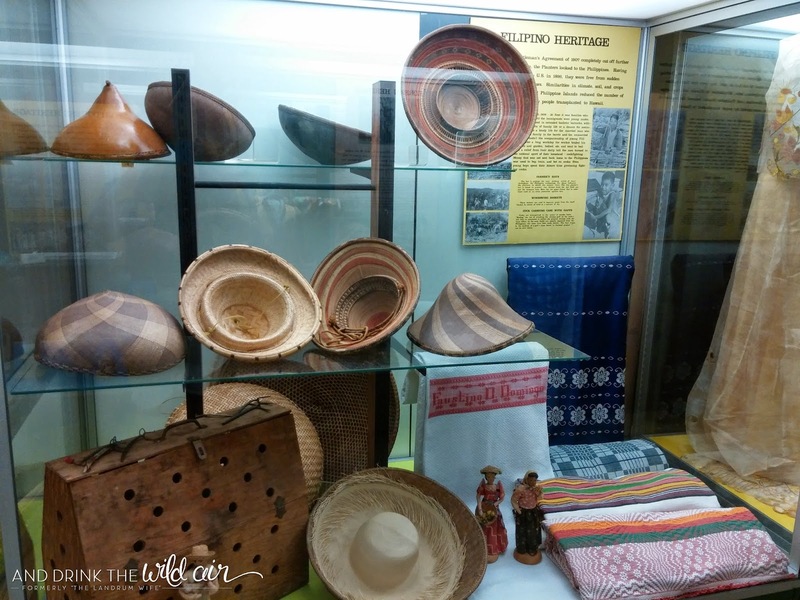 The Lyman Museum is a wonderful museum and restored missionary house detailing the history of the Hawaiian islands nestled in downtown Hilo as well as the influence missionaries had on Hawaiian culture. 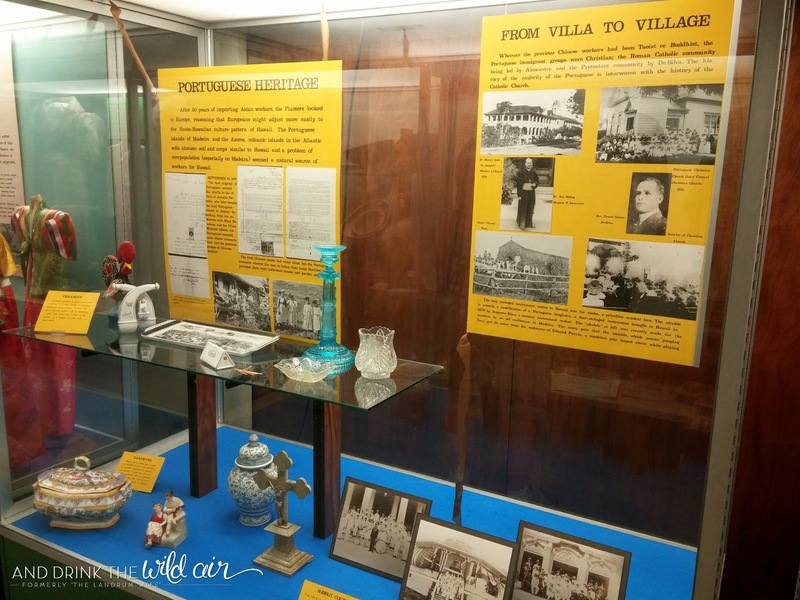 It spans everything from the fiery birth of the islands to the history of the Hawaiian people and the immigrants that came after them, all of whom helped create the diversity that is ever-present in Hawaii today. 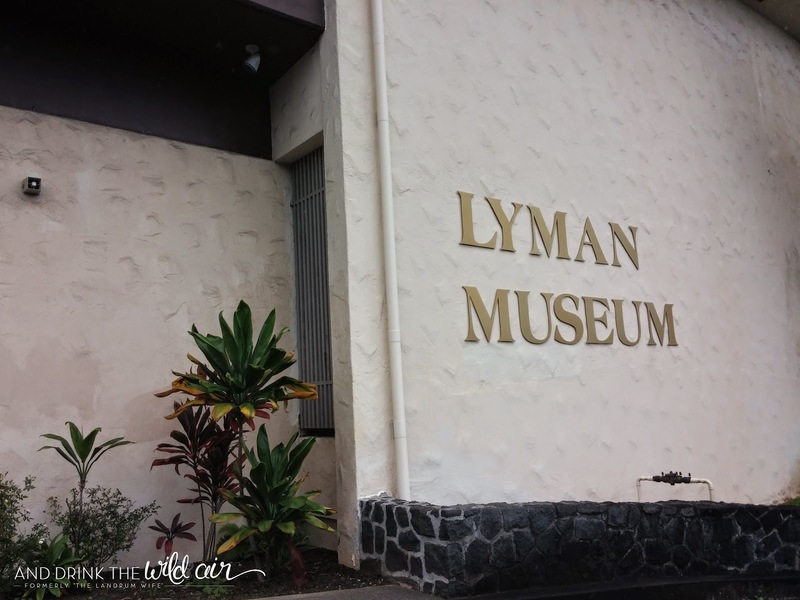 The Lyman Museum really packs a big punch in terms of information and knowledge on Hawaii's history and culture. 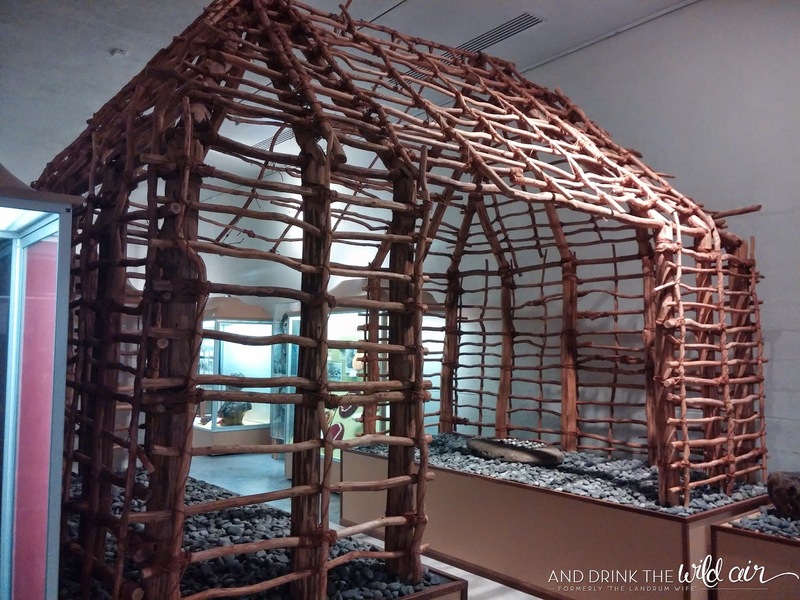 The museum exhibits start with the Earth Heritage Gallery. 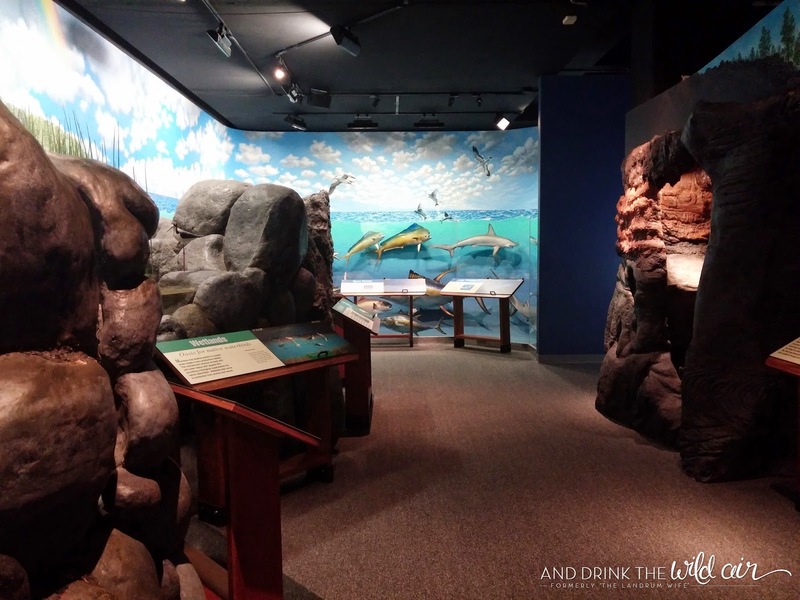 Here you discover how the Hawaiian Islands were created, how many different kinds of lava and lava by-products there are (a ton! 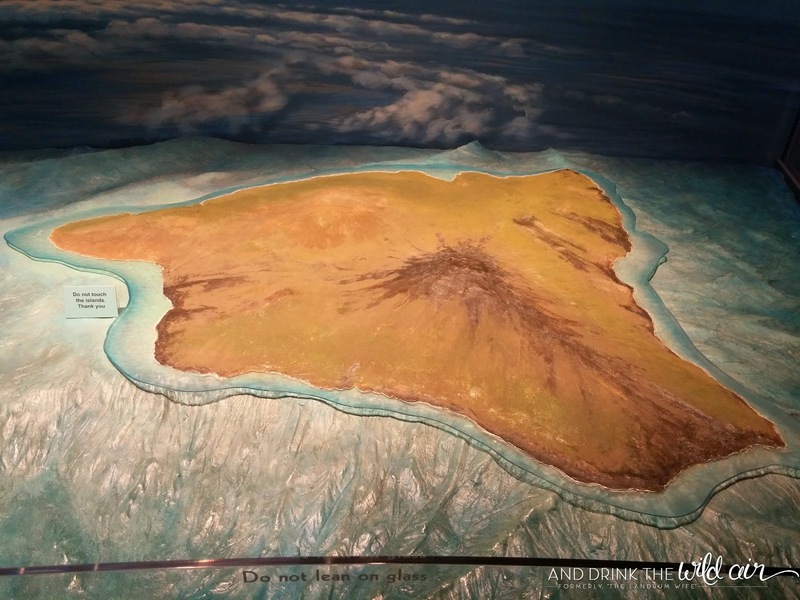 ), and you also get to see a large display of the islands with more information on each one. 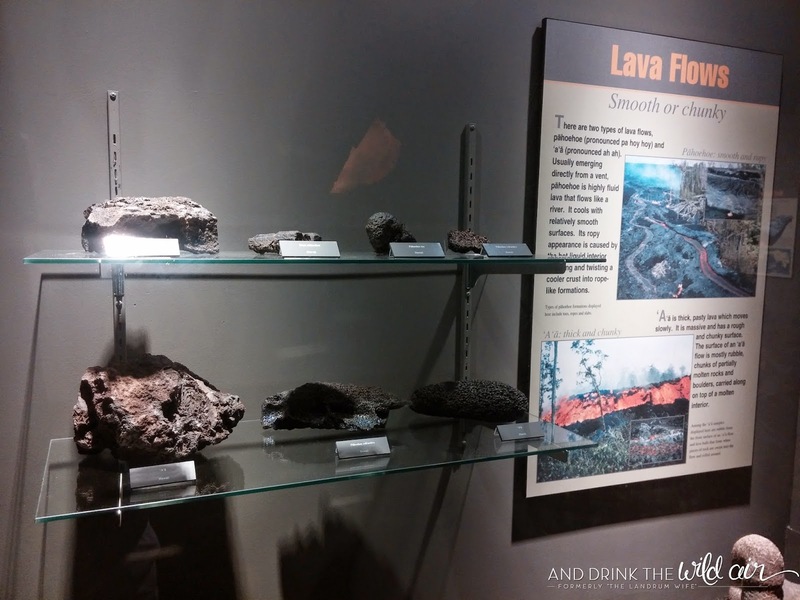 The coolest part of this area in my opinion was checking out the various forms lava takes on during an eruption. 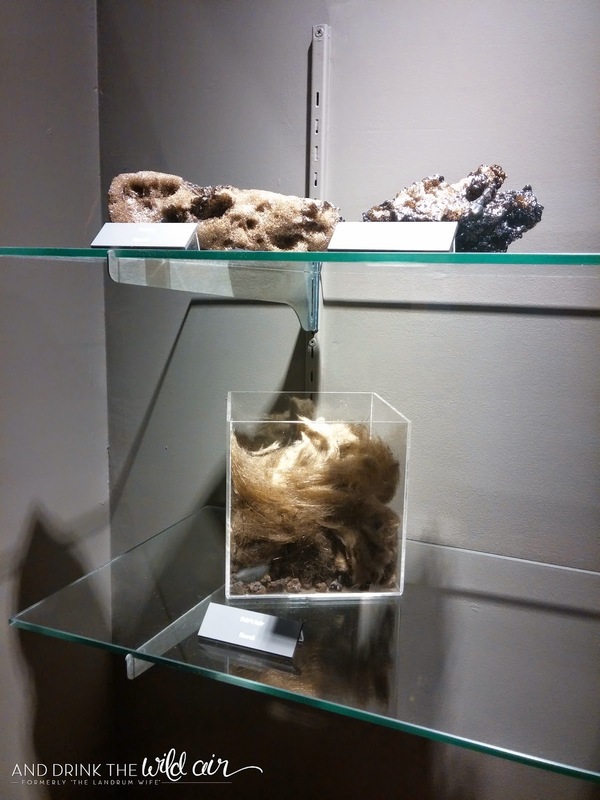 Lava can create anything from "Pele's hair" (volcanic glass threads or fibers that are thrown into the air and formed into hair-like strands by the wind) to "Pele's tears" (small bits of lava formed into teardrop shapes) and even much larger forms like lava bombs (masses of molten rock ejected by lava that cool into solid fragments before hitting the ground). 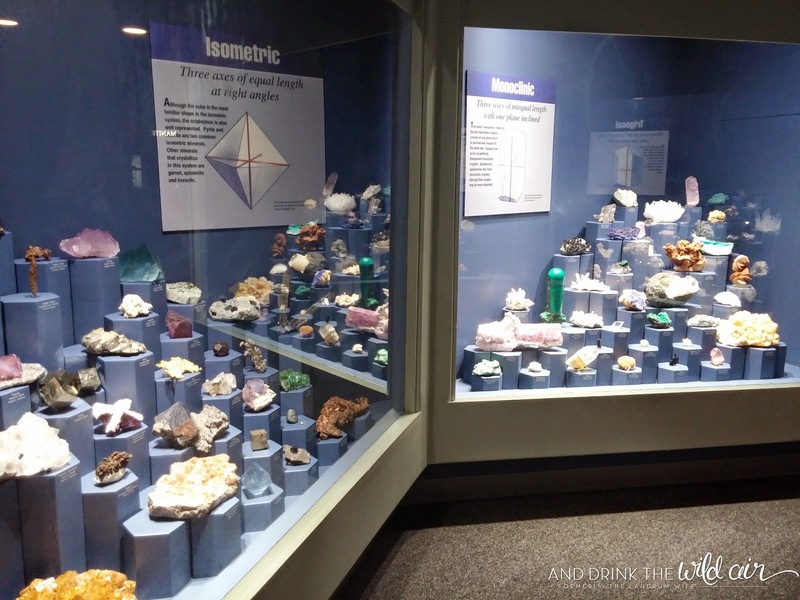 It was also pretty neat to see the huge island display. 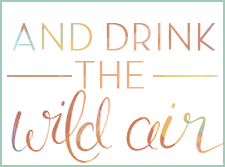 This would be a great visual representation for kids (or really anyone!) 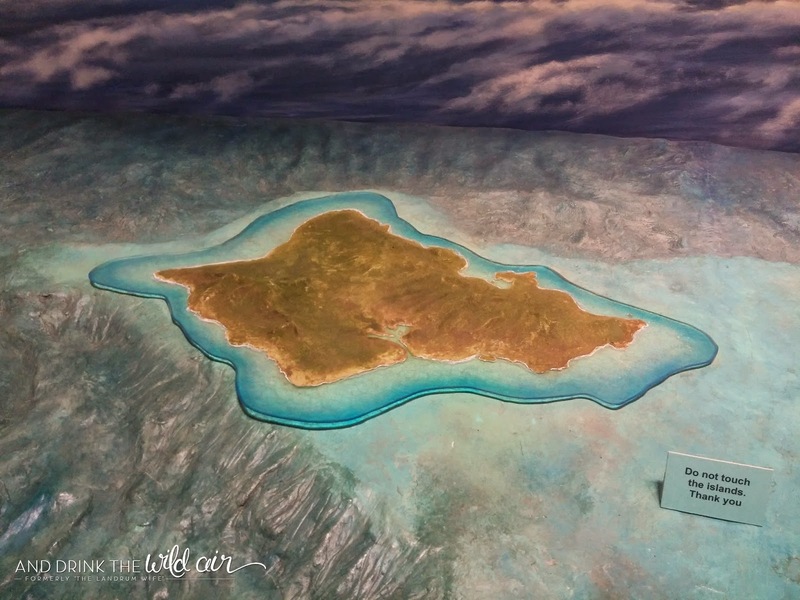 to understand how the islands are laid out and how they were formed! 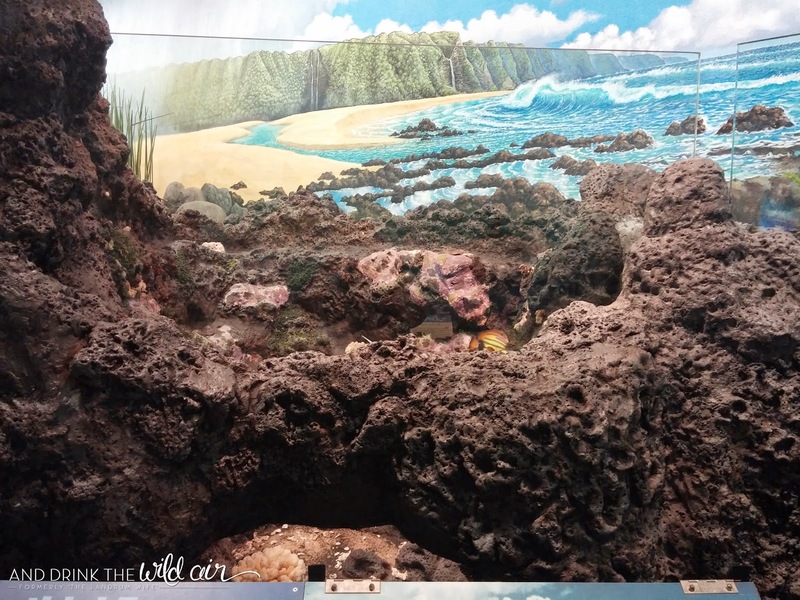 Then you transition from the lava that created the islands to the lush (and sometimes barren) landscapes that spring from it in the next room. 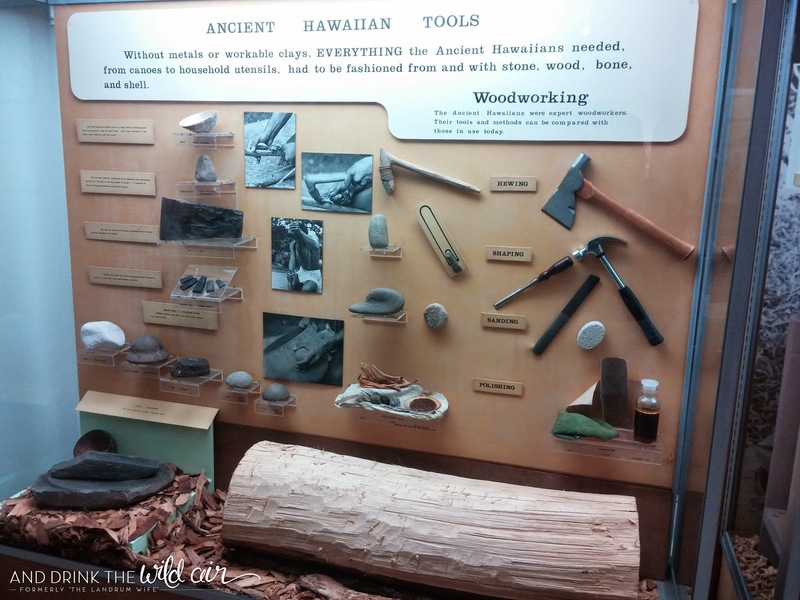 Hawaii is quite the diverse place geologically speaking. 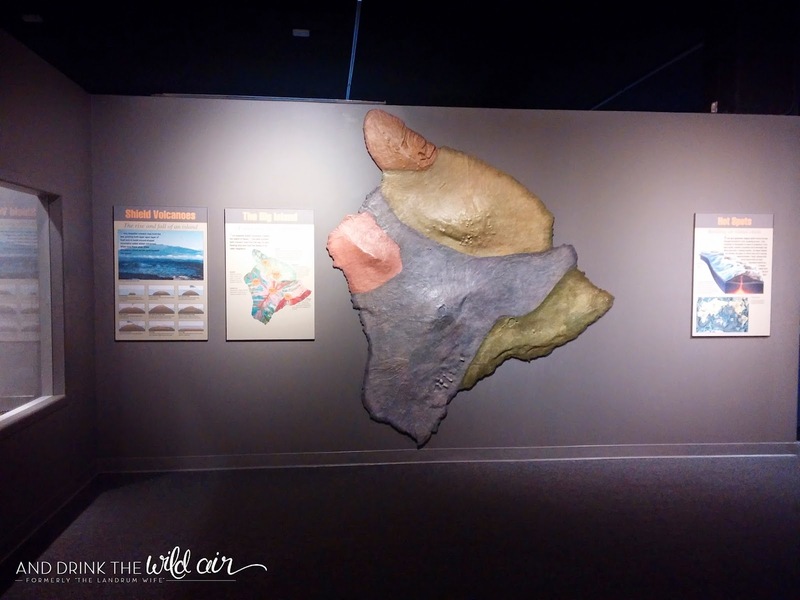 The Big Island alone is home to four out of five of the major climate zones and 8 out of 13 subzones. 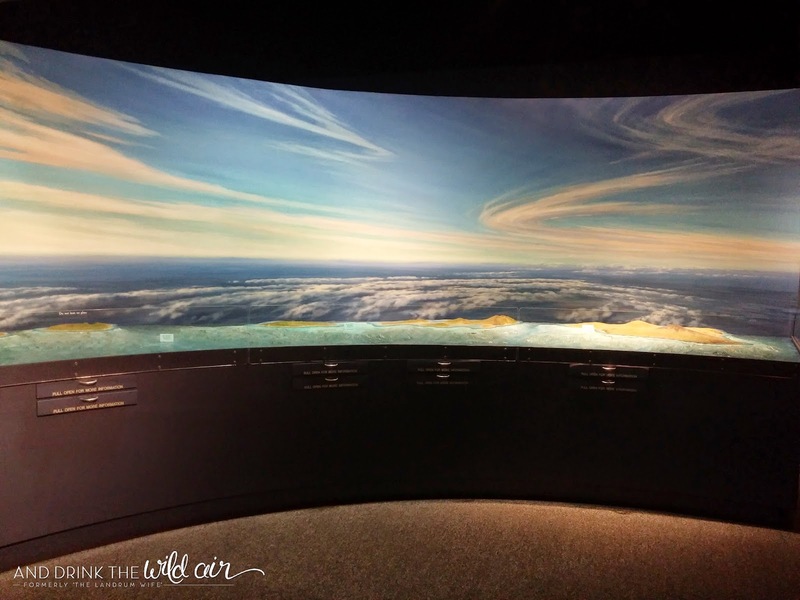 That includes climates like humid tropical (obviously), arid and semi-arid, temperate, and even tundra at the summits of Mauna Loa and Mauna Kea! 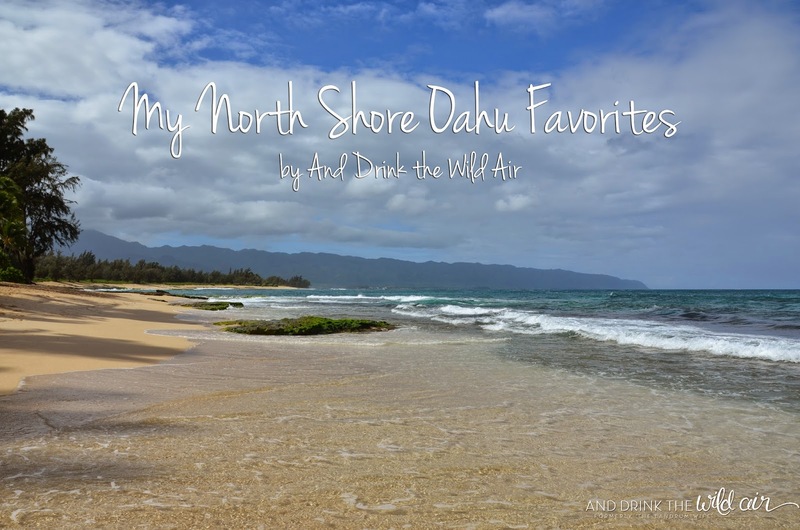 Hawaii's ocean landscape is also very diverse. 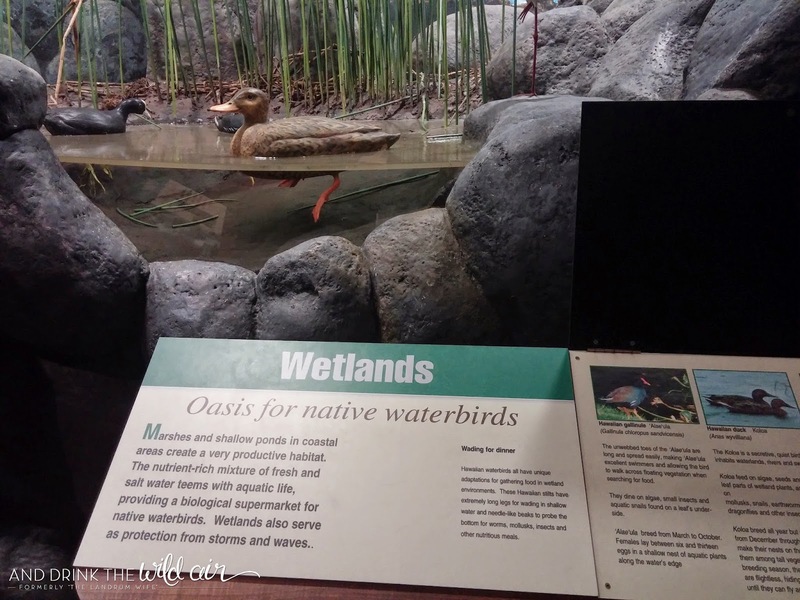 Beaches, reefs, wetlands are all incredibly common and very beautiful and tons of wildlife call these areas home along with the species on land. 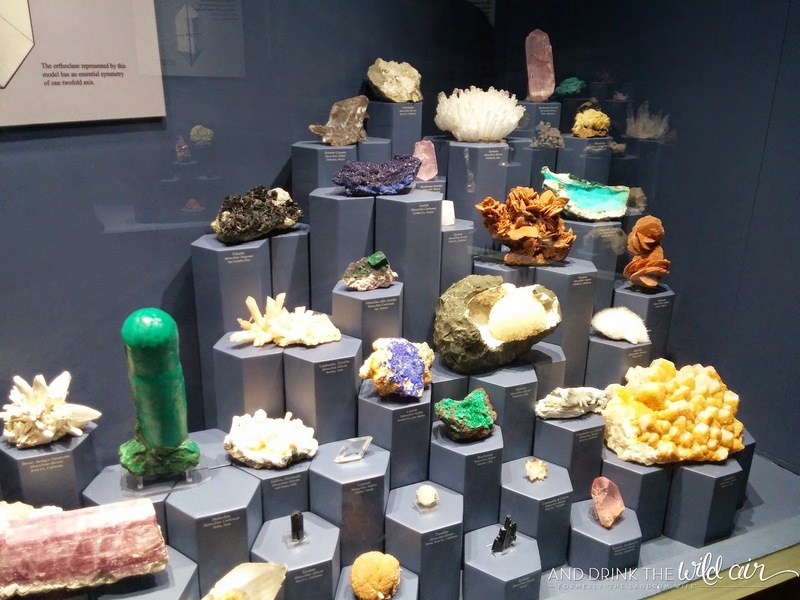 ...and then comes the massive variety of gems and minerals of all shapes, sizes, and colors. 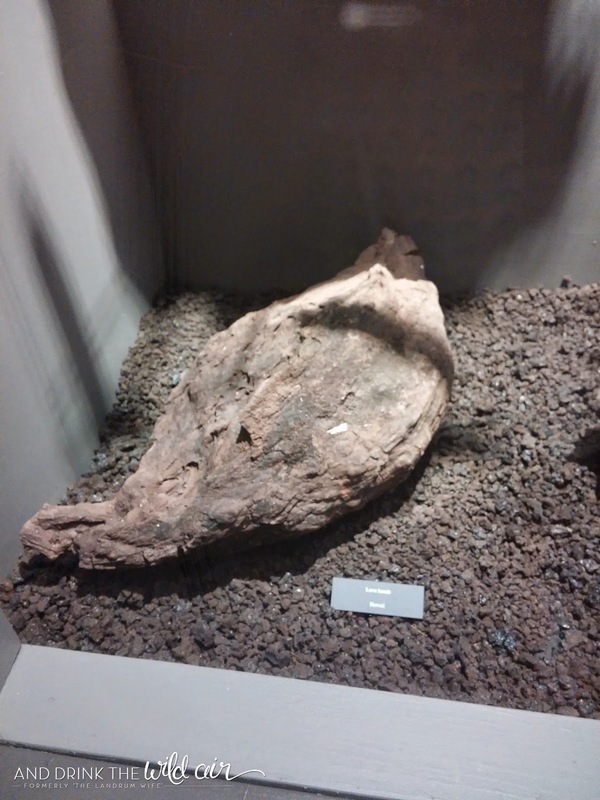 They really were fascinating to examine, especially when you realize all of them came directly from the earth! 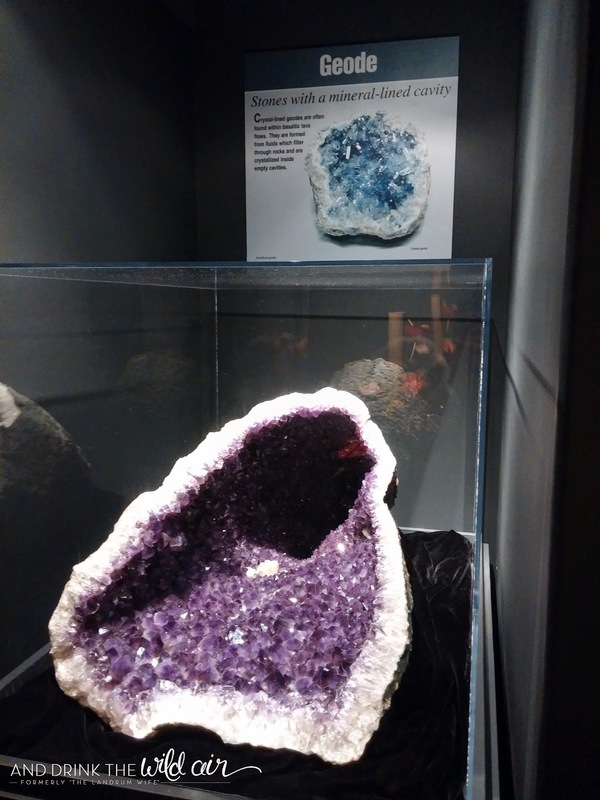 My favorite of the bunch definitely was this stunning and huge geode. I'm pretty sure it was bigger than my head and it was gorgeous! 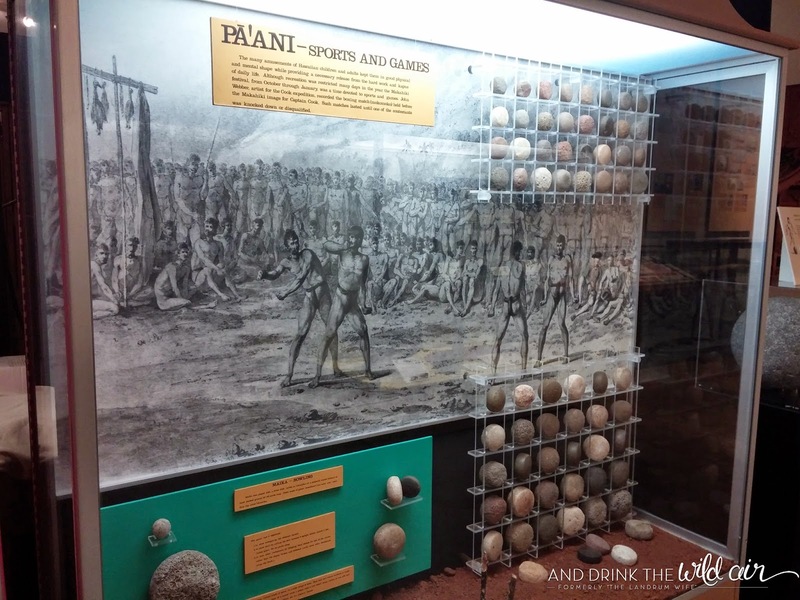 Then you see various displays featuring more information on the ancient Hawaiians, including how they worked, hunted, and even the games that they would play. 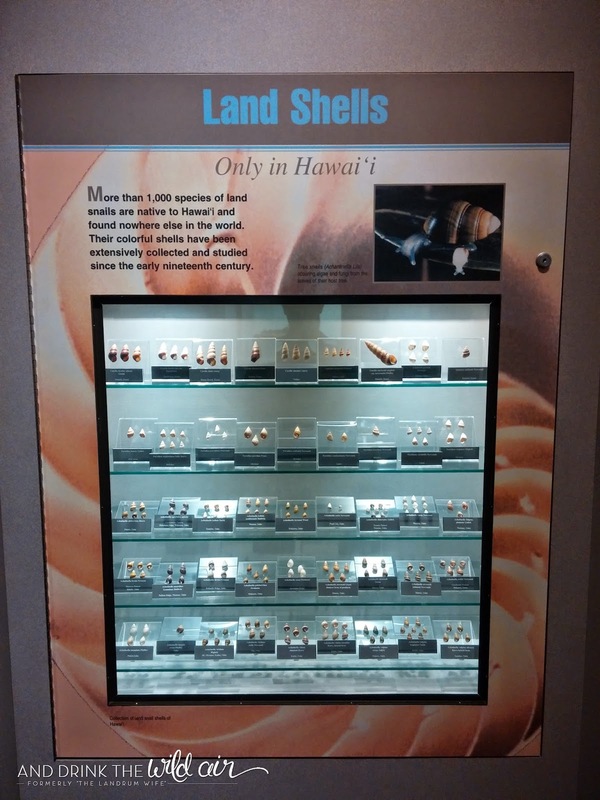 I found the next area on Hawaiian immigrants to be the most informative. I already knew that Hawaii is obviously a very diverse melting pot of cultures from all over, but I never really sat down to think about why or how this happened. 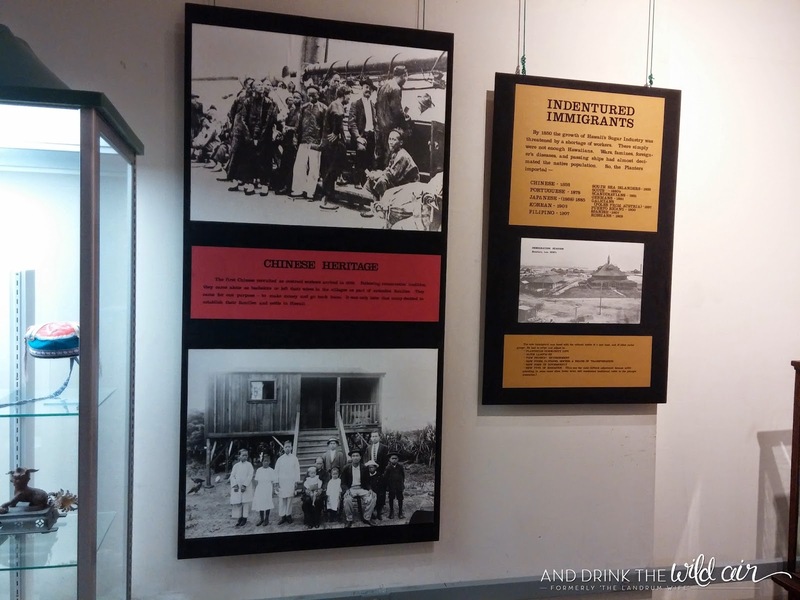 These displays showcased the prominence of indentured immigrants and how plantation owners in Hawaii would seek out different nationalities to come and work on their farms. 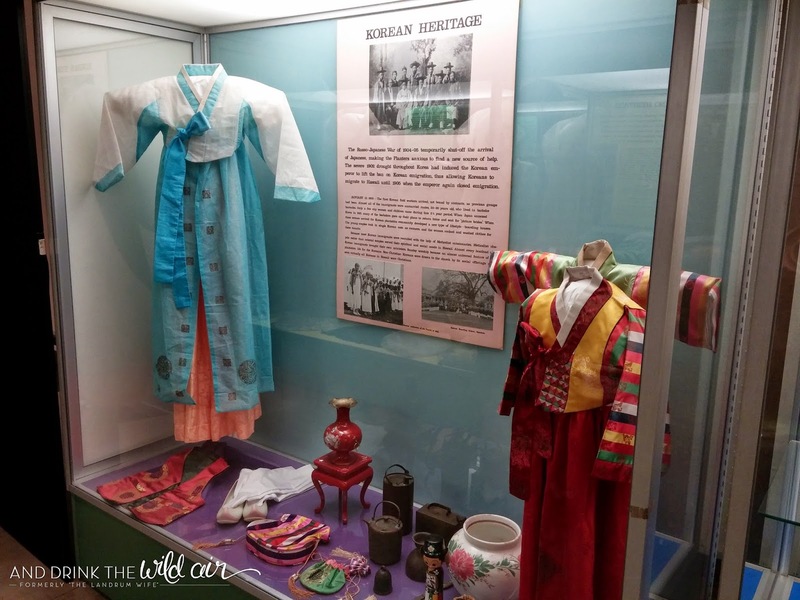 This and a myriad of other reasons are how Hawaii developed Chinese, Japanese, Filipino, Korean, and even Portuguese influences into its own unique culture today. Unfortunately on this trip we weren't able to see the actual mission house next door because we were running a little behind before our flight back to Oahu. 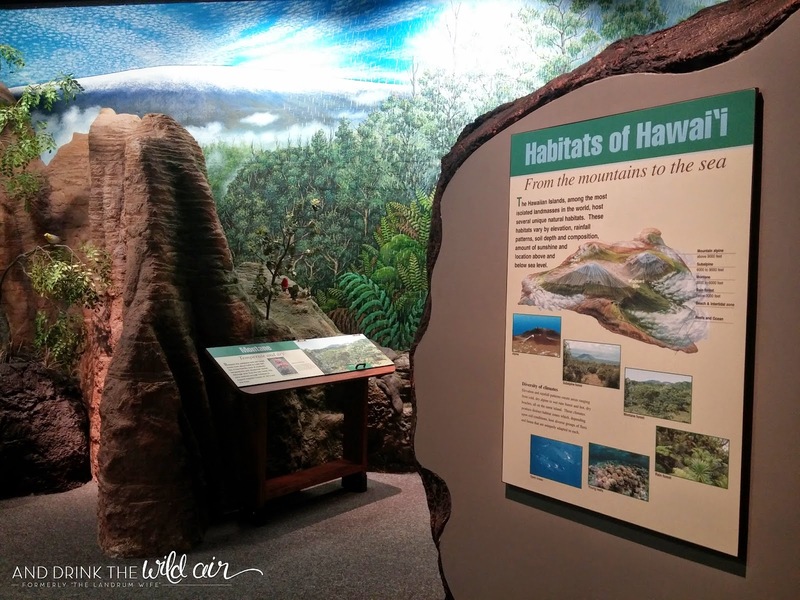 It would have been nice to learn more about the missionary side to Hawaii's history, but all in all I was more than happy to experience what we did get to experience! 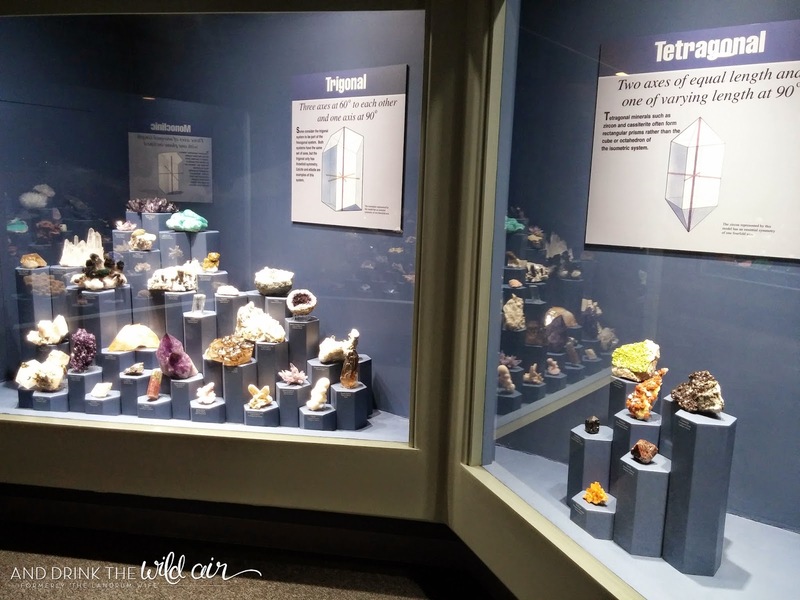 I felt that the Lyman Museum was a very well-put together museum and Mr. L and I both very much enjoyed the exhibits it had to offer. 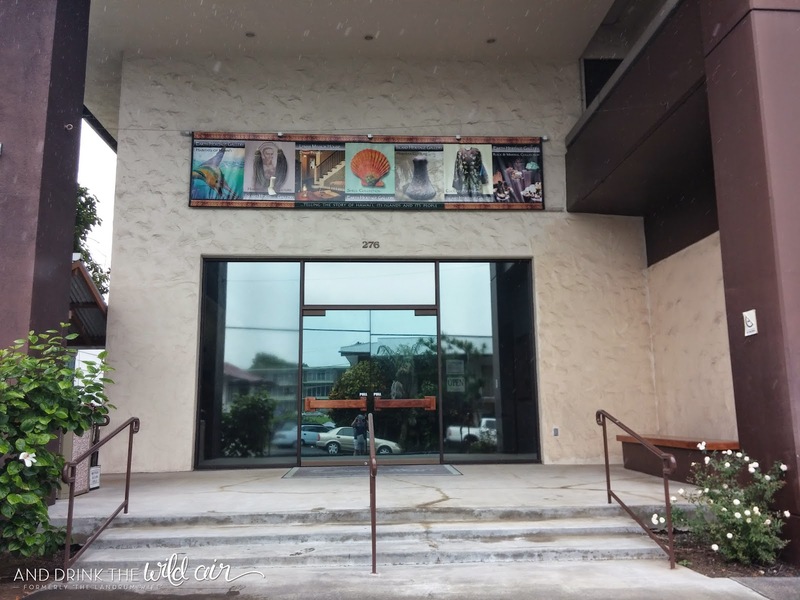 I would definitely recommend this museum to anyone with a little time to kill in the Hilo area!